Bangladeshi photographer Saiful Huq Omi’s images explain Myanmar’s Rohingya crisis in a way politics does not. 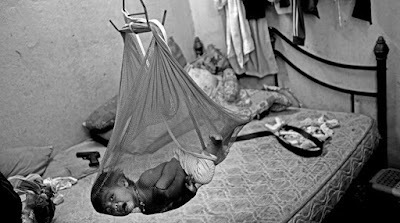 One of the most disturbing photographs taken by Saiful Huq Omi is of a baby. Kept in a net, like a fish, which dangles from a hook high above a bed. On the bed, cloth bundles are pushed to its edges, a belt snakes through the centre and, unnoticed at first glance, a revolver rests on a pillow. The baby has turned over on his stomach, his face pressed against the net; he is bawling. “This is a Rohingya child, born in Malaysia, and an illegal immigrant like his parents. When the parents go to work, the children are kept in these swing cradles for safety,” says Omi. 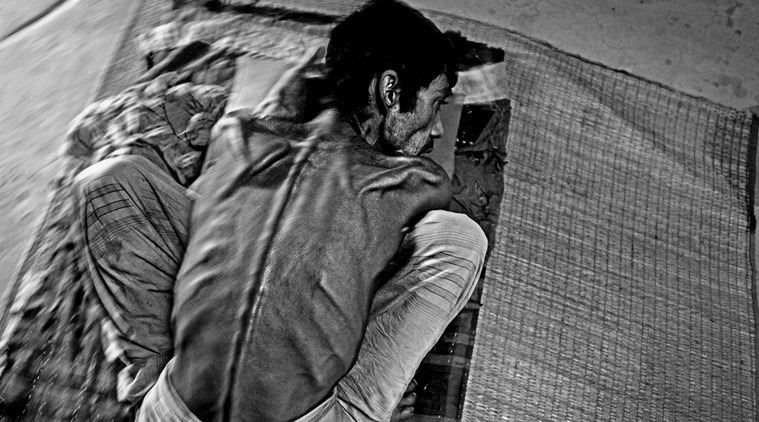 Omi’s photographs reveal shocking realities about the Rohingya. One of the most-persecuted ethnic group in the world, according to the United Nations, the Rohingya claim to have descended from Arab traders. They have been a part of Burma — mostly the Rakhine state — for more than a 100 years but the 1982 Citizenship Law of the country stripped them of their nationality, making them illegal in their own homeland. Ever since Burma began its transition to democracy in 2011, after decades under the junta, sectarian violence between the Rohingya, a Muslim minority, and dominant Buddhists of the country has acquired proportions of a genocide. Thousands of Rohingya are fleeing to Indonesia, Bangladesh, Thailand and Malaysia — preferring the hostility in countries that do not want them to violent death at home — on dilapidated boats driven by traffickers. They are known as the “boat people of Asia”, but unlike their Syrian counterparts who are sailing to Europe, the Rohingya are little known to the world. 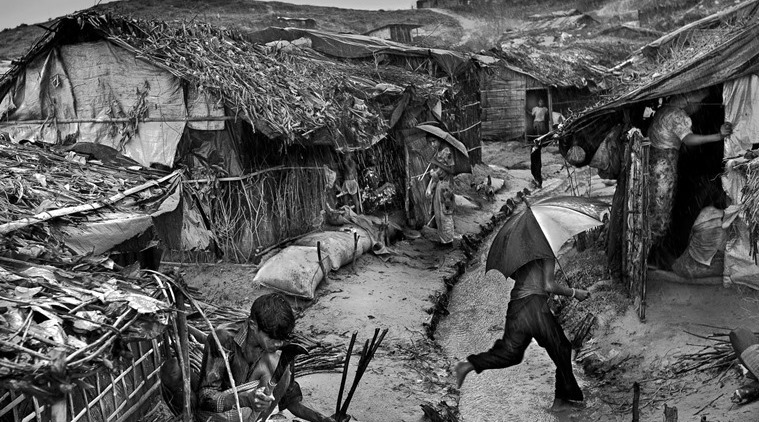 Dhaka-based Omi, 35, who calls himself a photo-activist rather than a photographer, is fighting global ignorance about the Rohingya by documenting the community in images that are well researched as well as aesthetically compelling. He has shot for the international media, exhibited his pictures in galleries in Zimbabwe, Russia, Japan and Bangladesh and spoken at forums across the world — he was a part of Women in the World in Delhi, an international summit on feminism in today’s world. He will publish two books on the Rohingya next year as well as exhibit in India. In 2009, he had been invited by a member of the United Nations High Commission for Refugees (UNHCR) to visit a Rohingya camp in Kutupalong, near Cox’s Bazar, a fishing port town in Bangladesh, where 32,000 refugees were living in dismal conditions. “It was a casual visit at first, and I spent 10-15 days talking to the people and listening to them,” he says. Their narratives were of friends and family killed or left behind in Burma and of the rapes, murders and looting that were part of the state pogroms to wipe them out. “This triggered a personal memory,” he said. A part of Omi’s family had lived as refugees in India during the Bangladesh war of 1971. Half of his family members were slaughtered in Chittagong by the Bihari and Pakistani community during the war of 1971, he says. He was born in 1980 in a scarred household. Omi has shot unauthorised Rohingya camps in Bangladesh during the monsoon and filled the frame with huts made of sacks, sticks and thatch and a dirt road dissolving in rainwater. In Malaysia, a 12-year-old holds up photographs of two girls whom her mother has had to leave behind in Burma. In another photograph, a man lies naked on a mat with his face out of the frame and his hand covering his groin. Plastic tubes are tied around his waist like a cord and attached to a drainage bag. He is a Rohingya labourer who met with an accident and now needs an operation on his urinary tract — but his 12-year-old son has been diagnosed with blood cancer and there is money to treat only one of them. “When a photographer engages with an issue over a period of time, he takes an ordinary body of work to a different level. The first thing in Omi’s photographs is how comfortable his subjects are with him. They have opened their homes and wounds to him. 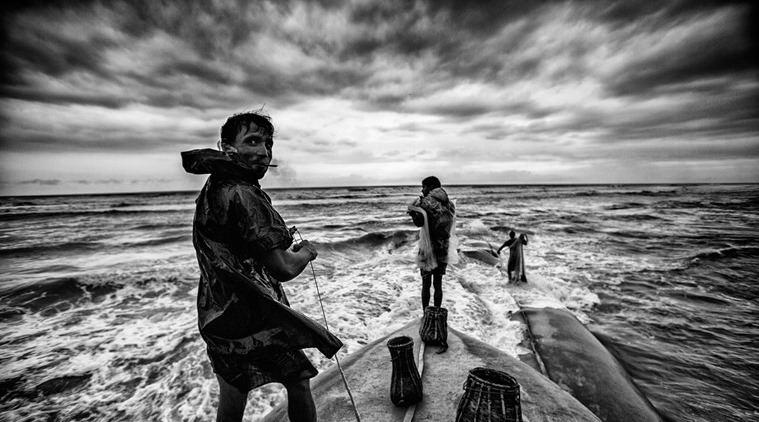 This is a huge thing because it takes a massive amount of work for a photographer to establish that level of trust with refugees,” says Poulomi Basu, a storyteller-photographer with the VII photo agency mentor program. Omi never wanted to be a photographer. “I was studying telecommunications engineering at Dhaka University but dreams of a happy family and a 9-to-5 job were too small for me. I wanted to study filmmaking at FTII, Pune, but when I picked up a camera, I realised I was no longer accountable to anyone,” he says. He trained at Pathshala in Dhaka, under stalwarts such as Shahidul Alam. His first project was Heroes Never Die, in which he traced victims of political violence in Bangladesh between 1989 and 2005. The police attacked him (as they had when he was a Leftist student activist in college), he was imprisoned, his book by the same name (published in 2006) was banned and his photographs never exhibited in Bangladesh. Life in the Ship Breaking Yard documents a workplace in Chittagong that has killed 400 and seriously injured 6,000 in the last 20 years. Since 2009, Omi has followed the Rohingya story through Burma, Bangladesh, Malaysia and the UK (where a Rohingya community lives in Bradford) and plans to shoot the community in India next year. “I can go on talking about my experiences at the Rohingya camp but I want to start with a love story,” he said at the Women in the World summit. “I was photographing in Kuala Lampur, going from one house to another, and ended up in with this happy couple. As any photographer who works on human rights, we photograph things that are unpleasant. 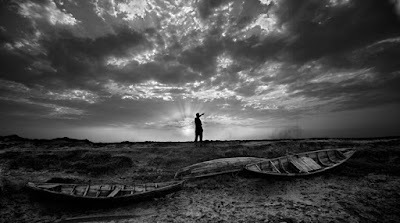 For my own sake, because I was feeling sad all the time, I began talking to the couple and photographing them,” he added. They began to talk. “The man told me that he knew this girl when he was in Burma. First, he left for Malaysia and waited for the girl to join him. By the time the guy made it to Malaysia, he knew very well how the journey was. I had myself secretly filmed traffickers’ boats that had cages where women would be taken and raped for weeks. At one point, this couple had to decide whether they wanted to be together enough for them to take the risk that she would be raped,” says Omi. The story that had started with photographs of the couple sitting together and going to cinemas would haunt him for the rest of his life. 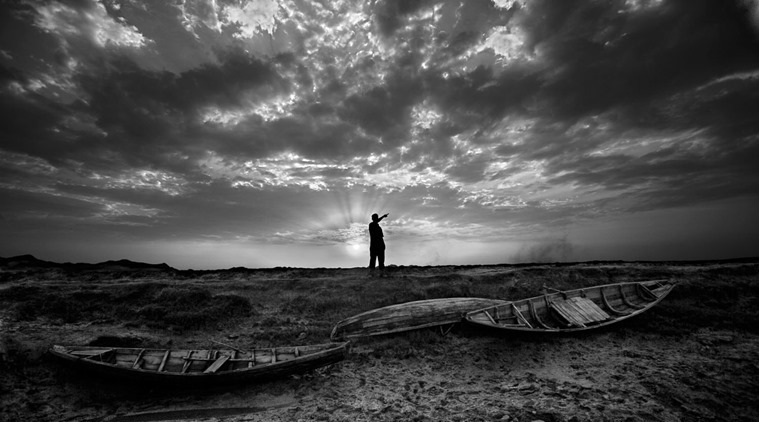 Omi, winner of a number of awards, the All Roads National Geographic Award, as well as an emerging photographers’ grant from the Open Society Institute, recalls a morning in 2012, when he was out photographing in Cox’s Bazar. “I was on the shore when security guards found 139 people, who had tried to get into Bangladesh overnight from Burma on broken-down boats. They wanted protection and asylum, but the country decided to close down its borders,” says Omi. The government ordered that the Rohingya be pushed back, either into the hands of the people who had persecuted them or into the sea. “When this announcement was made, the people waiting at the jetty started to cry. I began photographing and filming people who would be mass executed in hours,” says Omi. In the crackdown that followed, 132 of the 139 people died. “They were pushed back into the sea though the government knew that probably all of them would die. That has been filmed and we will release it next year. Hopefully, the world will see,” says Omi.